Professional Orange County Carpet Cleaning, Serving Fountain Valley, Huntington Beach & surrounding areas. Need a professional carpet cleaner in Orange County? Call us today for a free estimate, we are a family owned and operated carpet cleaning service in Fountain Valley CA, homeowners rely on our professional and advanced techniques for all their carpet cleaning needs. We don’t just clean carpets, we take the time to analyze and properly prepare the carpet and rugs before we clean them. High traffic areas tend to have more stains, we pre-treat those areas to ensure your carpet is clean long after we leave your home. 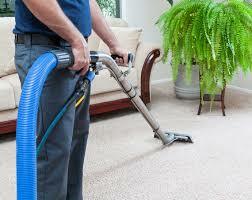 Our Orange County carpet cleaning crew is experienced and uses the most advanced equipment. Powerful water extraction is very important during the cleaning process, this means the stains and dirty water is lifted from your carpet and removed leaving your carpet fresh and clean. Chemical residue tends to increase the chance of stains returning and showing up after carpets have been cleaned. Our experience and our techniques include prope r rinsing every area we are cleaning. You can rest assured when we’re cleaning your carpets, it’s as if we are cleaning the carpet in our own home. We value your opinion and want to make sure you are satisfied with our service. It is a fact that 80% of soil in the carpet is dry soil, vacuuming regularly is an important step to making sure the carpets and rugs are maintained over a period of time. Whether your carpets need a regular cleaning, spot removal, or are extremely soiled, our carpet cleaning experts have the equipment, products, and experience to make you and your family happy. When you call us for a carpet cleaning service, you can rest assured we will not only meet but exceed your expectations. We get the job done right, the first time and without any hassle. 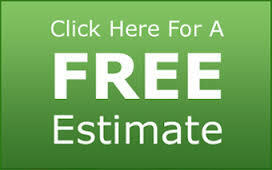 Give us a call for a free estimate over the phone or in your home or business. We are the Orange County carpet cleaner of choice for commercial and residential clients throughout the Orange County and Huntington Beach area.